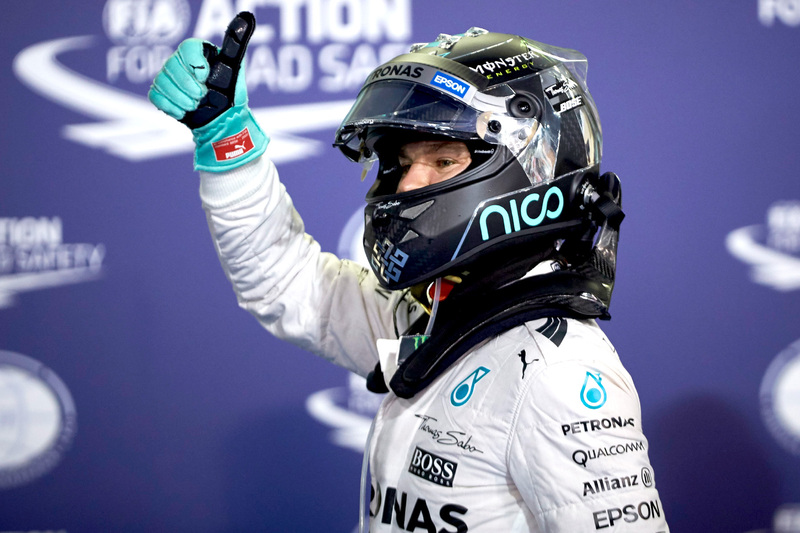 Nico Rosberg converted his sixth consecutive pole position into his third consecutive victory to send off his 2015 in style at the Abu Dhabi Grand Prix. The German executed a commanding start off the grid to secure the lead over teammate Lewis Hamilton and held the Briton at bay with perfectly judged pace thereafter. Rosberg’s sign-off from the season with confident wins at the final three races mark a departure from his earlier problematic races in which he often ceded ground to his teammate, giving away an early and ultimately terminal championship lead. It was the early conclusion of the title flight, said Rosberg, that prompted him to reassess is performance to end the season victoriously. “Austin was the low point of the season, it was a tough weekend,” he said. “Since then I’ve come back a lot stronger. “I’m excited about how the end of the season went. It’s great to end the season like this, to go on holiday like this. “Thanks to my team, stunning car you’ve given me again today. I’m just ecstatic. Hamilton finished a distant 8.2 seconds adrift after seemingly winning his internal Mercedes battle for more in-race strategic freedom. Hamilton shadowed Rosberg for much of the race, closing the gap to just one second before Rosberg’s second pit stop, at which point the world champion attempted to gamble on his own tyre change. The Briton stayed out, intending to exploit the graining Rosberg experience late in his stint on the soft tyre, but it quickly became obvious that he was losing too much time to the new tyre-shod second Mercedes fast approaching behind him. He declined to change to the faster supersoft tyre, believing it could degrade too soon before the end of the race, and he briefly considered staying out and attempting to defend his lead, but ultimately agreed with his team’s advice to stop for a new set of soft tyres. His initial pace on the new tyres was impressive — more than one second per lap quicker than Rosberg — but it didn’t last, and his decision to stay out 10 laps later than Rosberg meant the gap had ballooned to more than 12 seconds with 14 laps remaining to recover the lost time. The challenge was insurmountable. “Firstly, it’s been an amazing year,” said Hamilton. “I really have to take my hat off to this team. The performance through the whole year — they’ve surpassed expectations and shown that Mercedes is the best team in the world. “I think in hindsight once Nico had pitted I would’ve backed of a little bit and made them [the tyres] go a lot longer. Kimi Räikkönen finished qualified and finished third, proving for much of the race that Friday suggestions that the Ferrari had comparable long-run pace to Mercedes were not too wide of the mark. It was a long overdue performance for the Finn, who started fast when the Ferrari was less consistent but was soon overpowered by teammate Sebastian Vettel when the Italian car was more regularly shadowing the leading Mercedes machines. “We started better this season,” he said. “But that’s how it goes sometimes. “The speed has been there, but mistakes and problems and stuff like that, so the end result hasn’t been great many times. Räikkönen finished just 11 seconds down the road from Hamilton after being held up by his teammate Sebastian Vettel in the middle stint, the pair on wildly two-stop strategies. Vettel qualified a lowly sixteenth after timing his Q1 runs poorly and subsequently used a counter soft-soft-supersoft strategy to the near universal supersoft-soft-soft strategy adopted by most of the rest of the field. A 23-lap first stint put the German into the top ten, and a quick second stint put him into the top five. A final 16-lap stint on the fastest tyre put him a duel with Sergio Perez for fourth, which he ultimately achieved with ease. Perez was disappointed not to convert his career-best P4 qualifying result into a fourth place, but nonetheless wrapped up the second half of the year in the form of his F1 life. Daniel Ricciardo proved his fifth-place qualification was on merit, essentially holding onto the place after Vettel’s top-four finish is considered, and did so ahead of the Mercedes-powered Force India piloted by Nico Hülkenberg. Felipe Massa finished eighth, in his grid slot, fighting off Romain Grosjean in his final race for Lotus to cross the lined 0.4 seconds ahead. Daniil Kvyat finished tenth to take home the final point of the race, 1.5 seconds ahead of Carlos Sainz, the last drive on the lead lap.